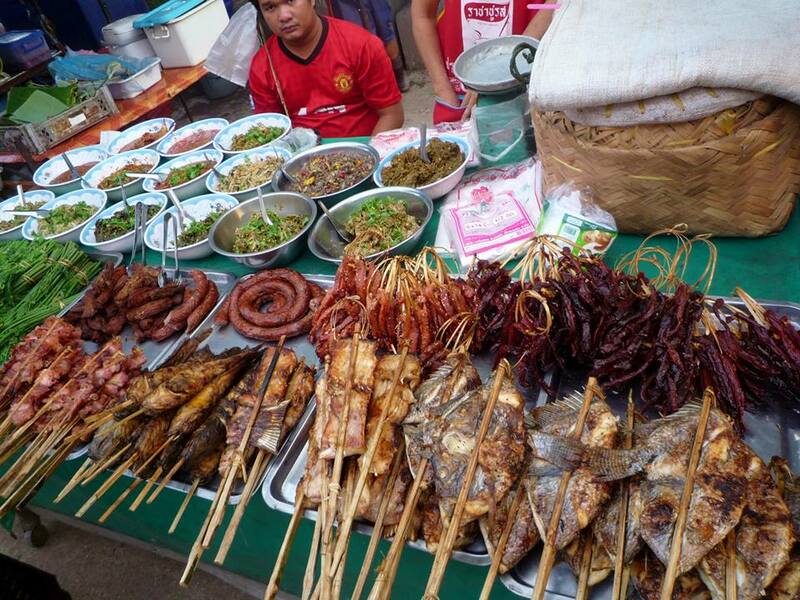 When travelling in Laos, I was disappointed at how similar the food seemed to Thailand. Obviously, there's bound to be some overlap (b/c both proximity (like any neighbours) and the relevant history - eg, Lao 'migration' into Isan), but I don't think I found anything that wasn't just as common in Thailand. Are there foods that are 'typical' of the Lao diet - day-to-day or traditional, that are not also typical of modern Thailand? 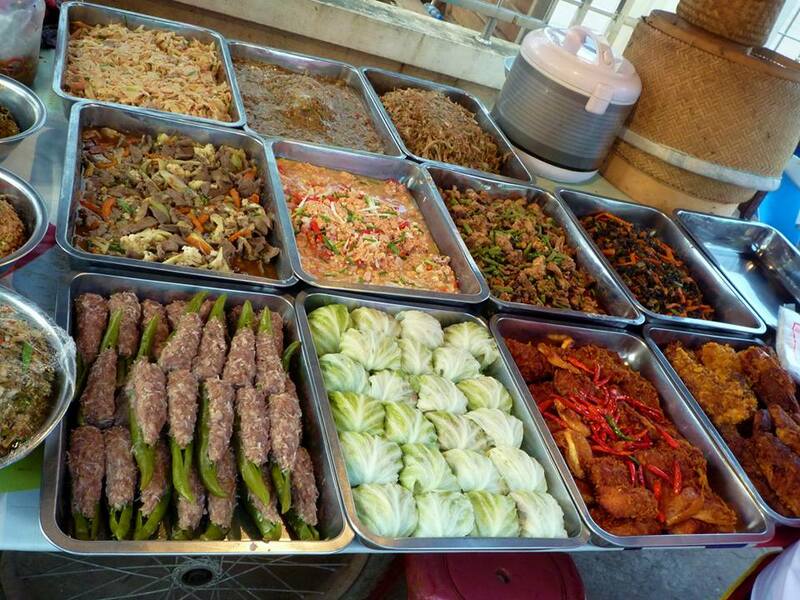 I think you were disappointed because the most famous Lao dishes have become popular in Thailand and a lot of the food you find in Laos without a local to help isn't really Lao food but Thai, Vietnamese, Chinese, and French food. The most famous Lao dishes have to be larb and green papaya salad. I never saw these on offer in non-touristy Surat Thani in Thailand, but they were everywhere in Khao San in Bangkok and of course in Isan, which has a Lao ethnic majority. It turns out that all the stir fries you see in Laos are not Laotian. 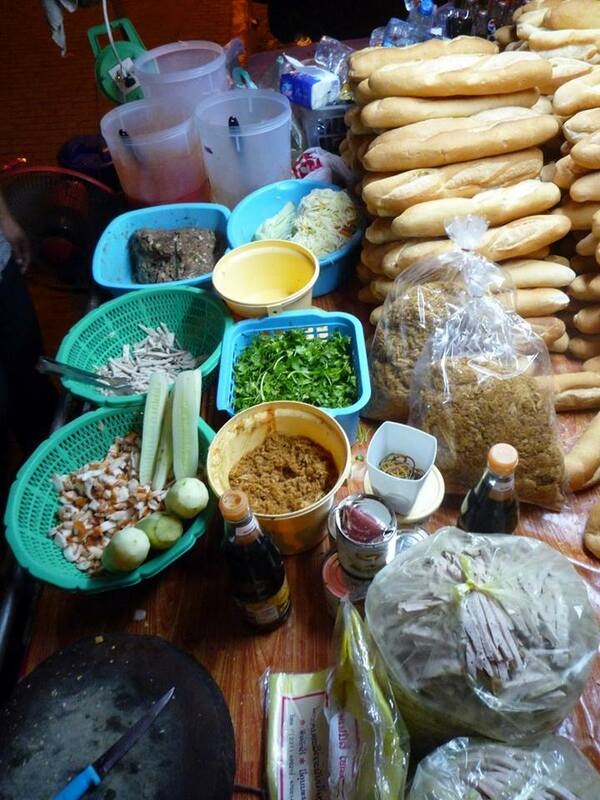 They're all originally Chinese though some have come through Thailand's cultural filter such as pad thai. The same for curries. The ones you see in Laos are due to Thai influence. 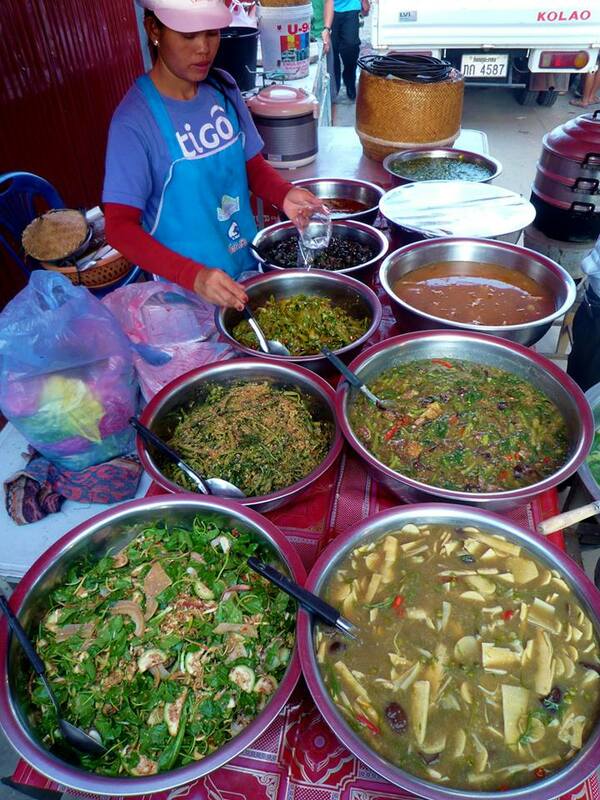 The same word "gaeng", which means "curry" in Thailand usually means "soup" in Laos. 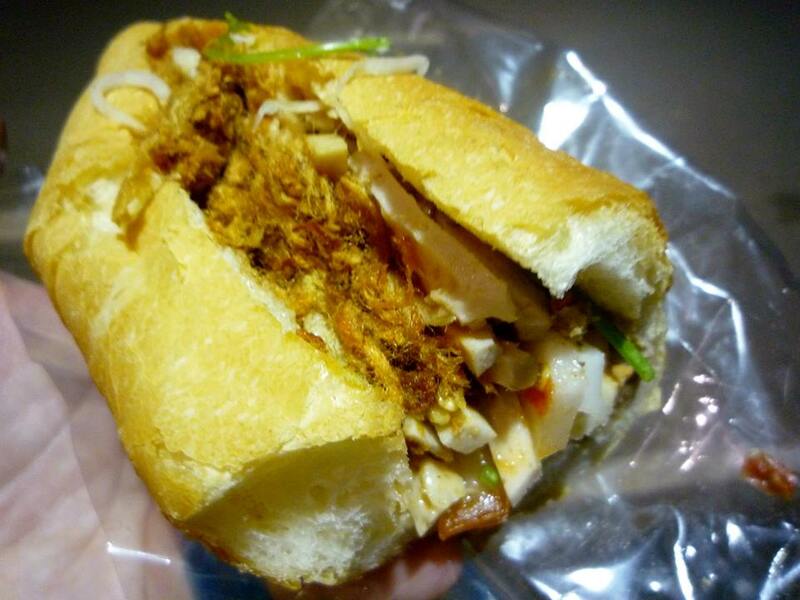 I don't think French food has influenced Lao food greatly, it's mainly stayed separate. But when I finally found where to buy local baguettes around the bus station, I barely recognized any of the ingredients. 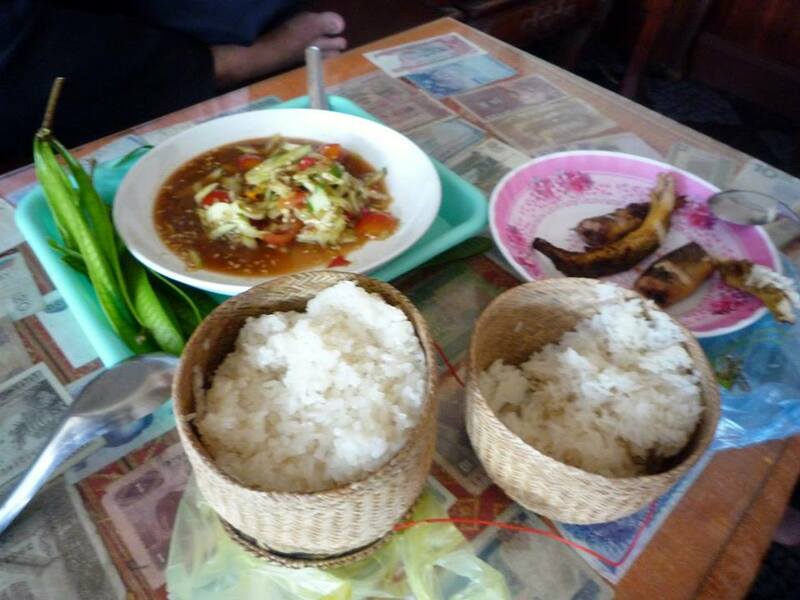 Apparently the main staple Laos regard as Lao food is the sticky rice (khao niao). I thought I'd had sticky rice before because some rice is stickier than other rice. But the sticky rice here comes in little woven pot/baskets, is super duper sticky almost like play doh. 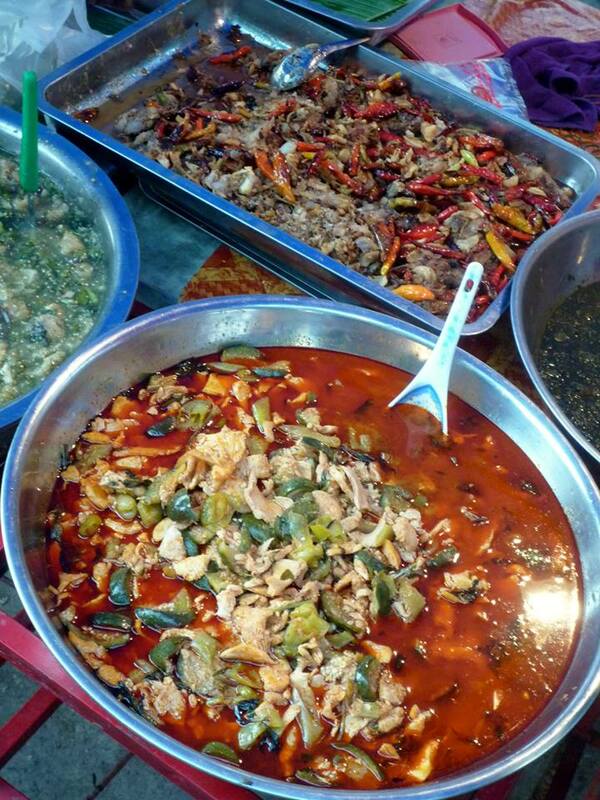 Here the staff in my guest house have it every day with a spicy salad, some raw leaf vegetable I can't identify, and some meat or fish. I'm sure this is also in Thailand but again it's a Lao ethnic food that you can get in Thailand - not a Thai food. Given the proximity to Thailand, and the migration between the two populaces, as well as cultural migration, there's always going to be some crossover. Wikipedia actually has a page on Lao cuisine. It notes the most famous Lao dish would be Larb (ລາບ) - "a spicy mixture of marinated meat and/or fish that is sometimes raw (prepared like ceviche) with a variable combination of herbs, greens, and spices". It also notes there are some French influences remaining as a result of the colonial times, especially in Vientiane. There is also a subsection on Cooking Methods and one on Eating Customs. 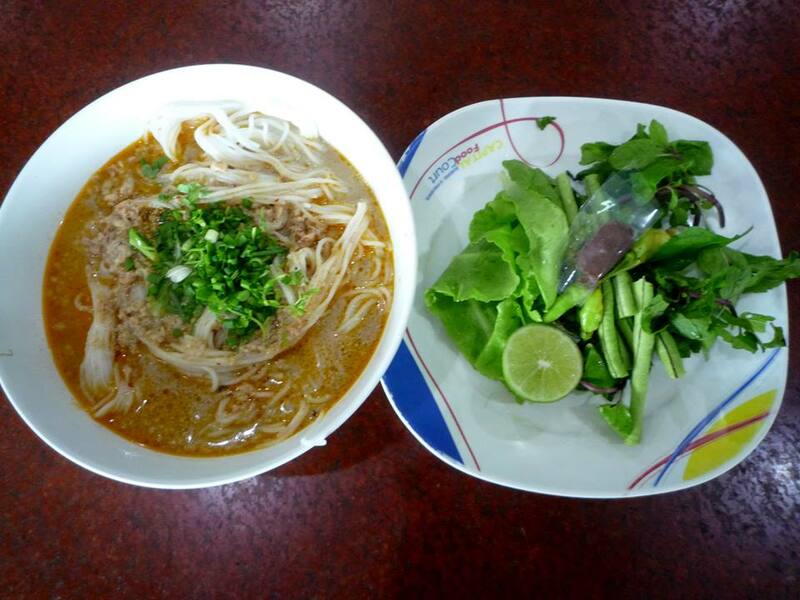 If you're feeling adventurous, Food.com has Lao recipes you can try yourself (or try to find while you're there). Not the answer you're looking for? Browse other questions tagged food-and-drink southeast-asia laos local-cuisine or ask your own question. What food is Chicago (USA) famous for? What is a typical Australian dish which can be considered a “must-have”?